Soft, fluffy, coated in cinnamon sugar, and bursting with fall flavors, these baked apple cider doughnuts bake up in minutes and are a delicious way to celebrate the season. Guaranteed to satisfy your sweet tooth! Weekend breakfast on the front porch is one of my favorite fall activities. I mean, breakfast on the front porch is a favorite activity of mine all the time, but it seems like fall is just about the only time of year that it really works for me. I get so excited about the cool weather and the prospect of wrapping myself up in a cozy sweater with a hot cup of coffee! So I try to make breakfast extra special on those occasions when my husband an I can actually enjoy it on the porch. Like, maybe as in so special that there’s dessert involved. Donuts work great for that because, somehow or another, they became the dessert that it’s socially acceptable to eat for breakfast. I don’t question it. I just eat healthy most of the time and enjoy my porch doughnuts for a few months late in the year. 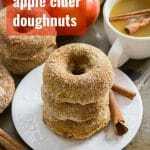 Maybe that explains why the majority of the doughnut recipes on this blog are fall-ish. Gingerbread, apple crumble, salted caramel. And now apple cider! This is the first time I’ve shared a sugar-coated doughnut recipe on the blog. 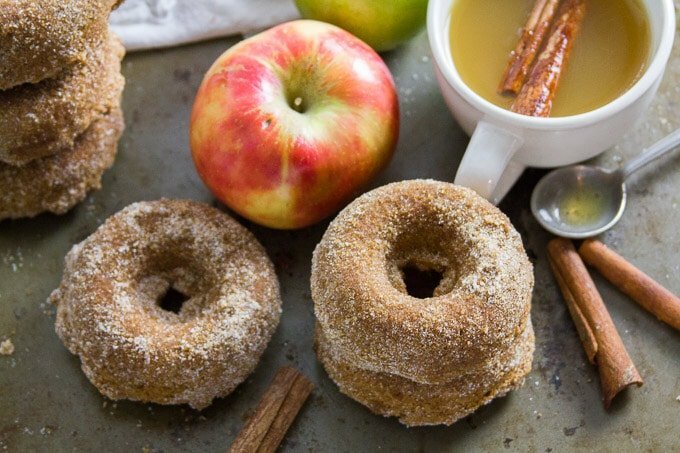 I usually go for frosted, but this time around a sugar coating seemed like a good chance to work some extra cinnamony goodness into my doughnuts. 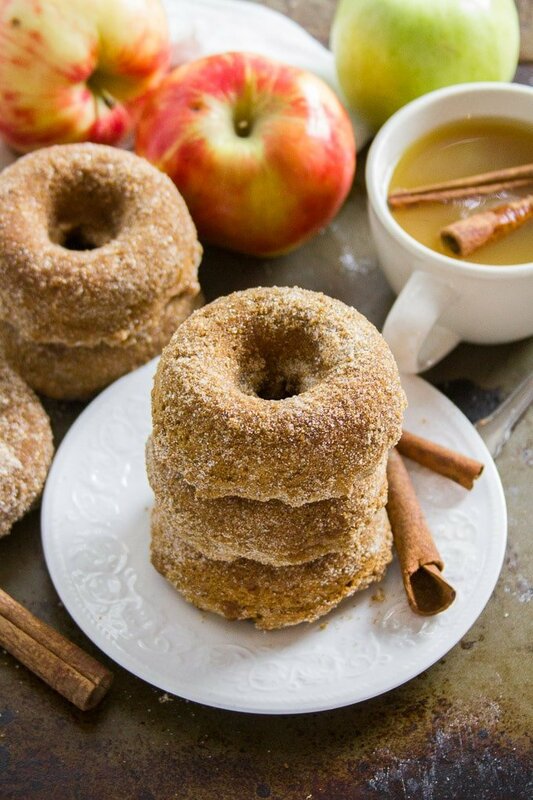 Bake the doughnuts, then let them cool a bit while you melt some vegan butter and mix up some cinnamon sugar. When the doughnuts are cool, brush them with the melted butter then dip them in your cinnamon sugar. Head on out to the cool fall air and enjoy with a cup of coffee. What’s vegan butter, you ask? Some people ask this! Is it just margarine? Sort of. Some margarine has dairy in it. Look for products labeled vegan, like Earth Balance and I Can’t Believe It’s Not Butter (It’s Vegan!). 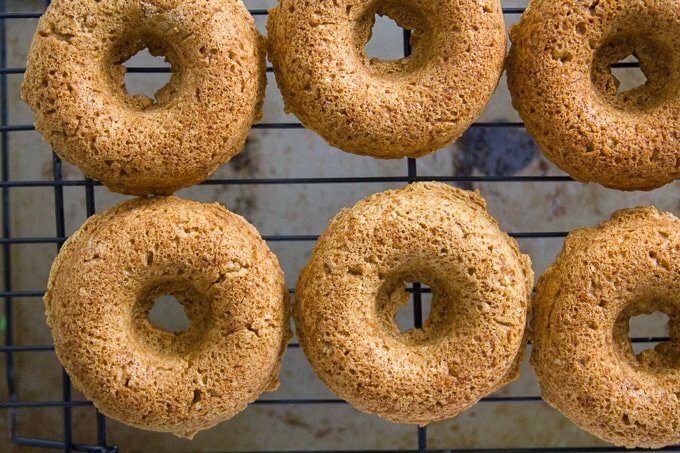 These doughnuts are best eaten as soon as possible, but if you can’t swing that they’ll keep for a day or two at room temperature in a sealed bag or container. Can these be made gluten-free? I haven’t tried, so I can’t be sure, but I’ve had luck with Bob’s Red Mill Gluten-Free All-Purpose Flour in similar recipes. Lightly oil a 6-cavity doughnut pan. 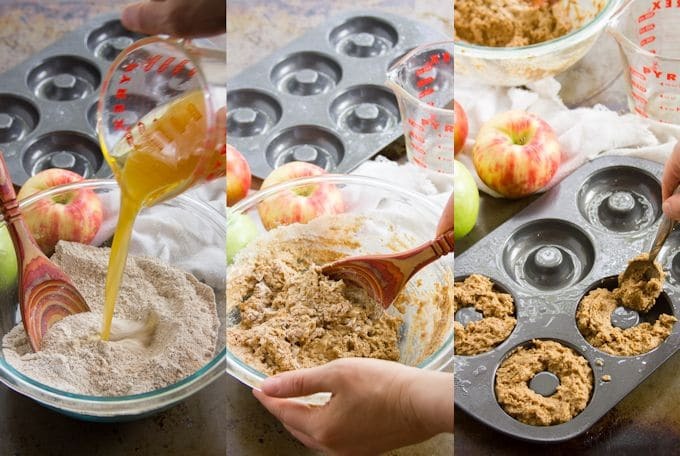 To make the batter, stir the flour, brown sugar, baking powder, baking soda, cinnamon, nutmeg, cloves and salt together in a medium mixing bowl. Stir the cider, oil, and vanilla together in a separate bowl or large liquid measuring cup. Add the cider mixture to the flour mixture and stir just until mixed. Bake for about 13 minutes, until the doughnuts spring back when lightly touched. Transfer the doughnut pan to a cooling rack and allow the doughnuts to cool. 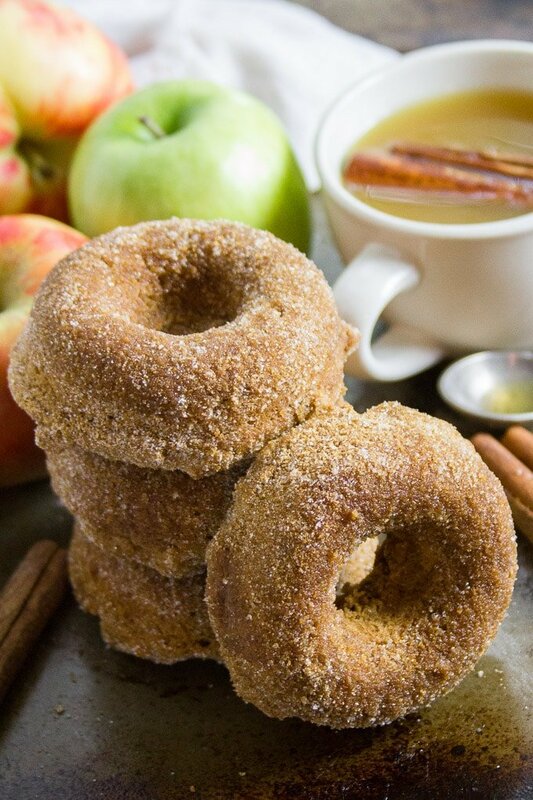 While the doughnuts cool, stir the sugar and cinnamon for the coating together in a small bowl. When the doughnuts are cool, remove them from the pan. 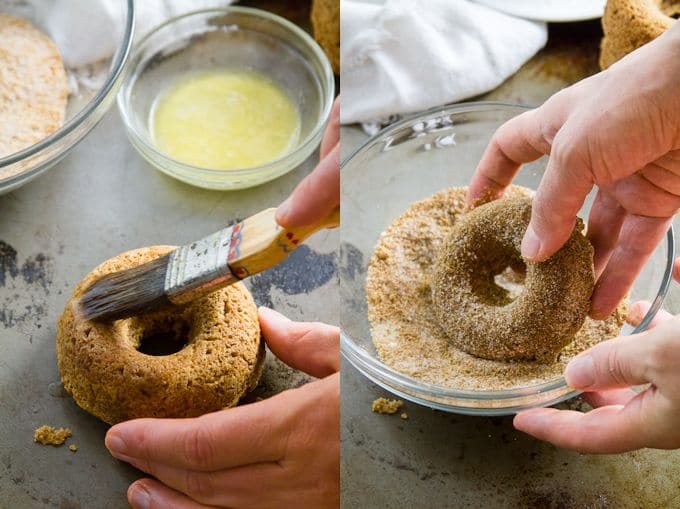 Brush each doughnut with melted butter, then dip it in the cinnamon sugar mixture to coat. Do you think I could make these as mini muffins, since I don’t have a donut pan? Yup! I’ve made other doughnut recipes in muffin pans and it always works. I’ve never done mini muffins though, so I’m not sure of the cook time. I’d start checking them at 8-9 minutes and every couple minutes after that. I made these yesterday and they are delicious! Super hard to resist. I doubled the batch brought half to visit family. My almost 10 year old nephew took one bite and gave an enthusiastic thumbs up — and that’s not easy to get!! I’m planning to make up a double batch to bring to the office too. 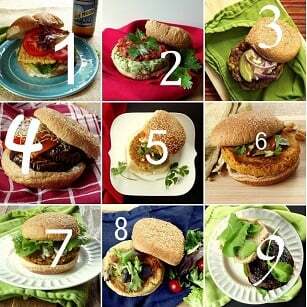 I can always rely on your recipes — thanks for another great one. Yay!! I’m always happy to hear when a recipe passes the kid test. :) Glad they were a hit! Thanks Barb! I think so, but I haven’t tried myself so I can’t be totally sure. I’d love to hear how it works out if you do! This is such a wonderful recipe! Doughnuts were moist and dense in all the right ways! Thanks for sharing. Yay!! I’m so glad you enjoyed them! !